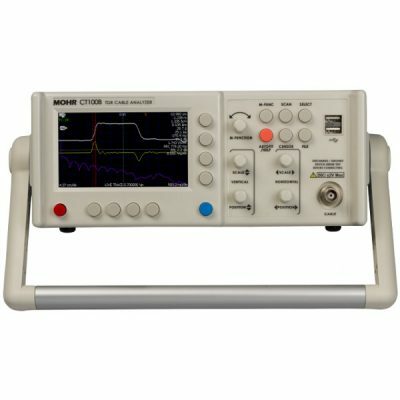 TDR cable analyzers are used across a wide range of industries including aerospace, defense, telecom, automotive, and electric power, for precision testing of twisted pair, coaxial, and multiconductor cables and connectors. 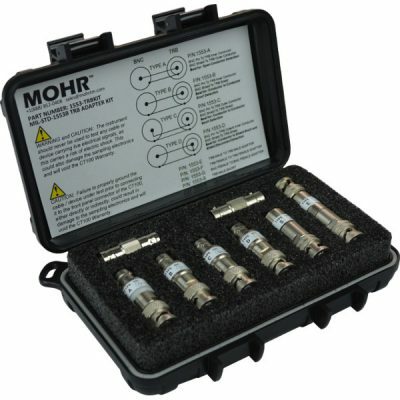 Like high-end benchtop TDRs, the MOHR instruments utilize a fast rise-time step test signal, and are prized for their ability to detect and localize subtle cable and connector faults and accurately measure cable impedance. The instruments’ precision length measurements are also useful for phase-matching microwave cables.